The daily grind of a science and engineering career can leave little time to inquire how colleagues in the very next office have been spending their days and months. 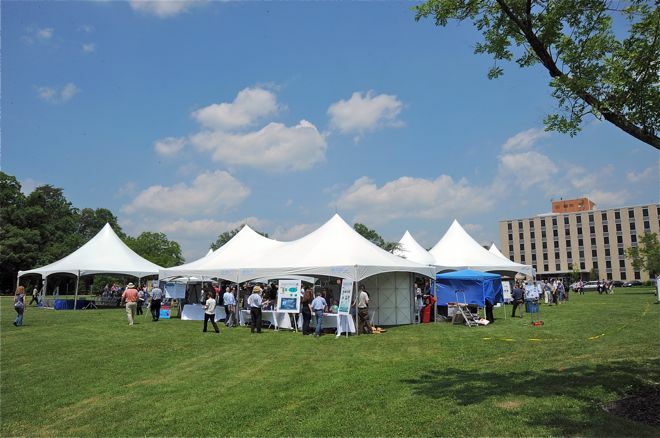 Toward remedying that, employees at NASA’s Goddard Space Flight Center emerged from their cubicles and offices on June 2 and mingled outdoors, Cajun style, at the center’s second annual Science Jamboree. 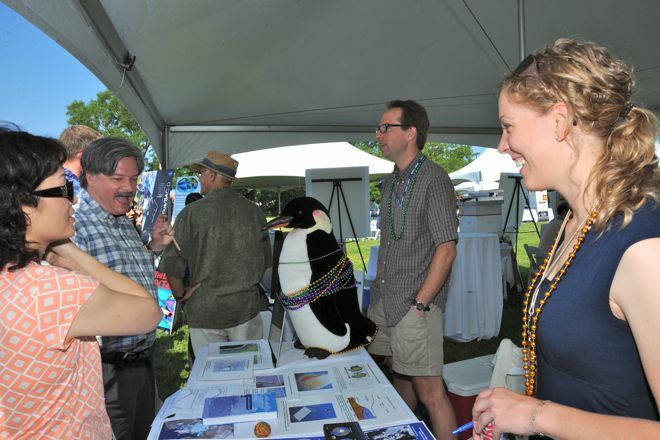 Congregating under tents on the Goddard campus lawn, everyone from scientists to secretaries and engineers to interns browsed the nearly 40 tables displaying the latest projects in earth science, astrophysics, heliophysics, and solar system science at the Mardi-Gras-themed event. 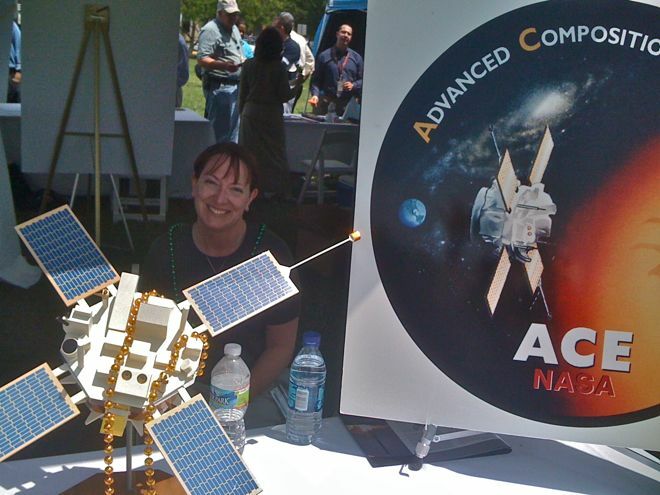 Other groups arrived with dramatic displays, from demonstrations of merging black holes — winning the “Most Visually Appealing Display” award — to mock ups of current satellite missions such as the Advanced Composition Explorer (ACE). “ACE is still at it?” asked one visitor. The satellite is nearing its 13th year in orbit. 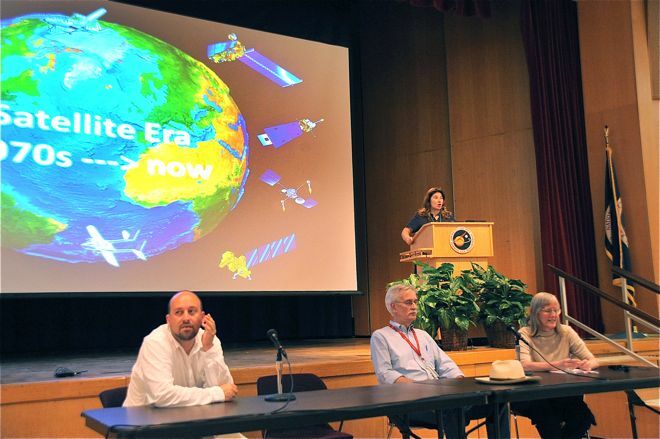 After snacking on jambalaya and wrestling crayfish from their shells, the crowd poured inside an auditorium for discussions of extreme space weather and of global climate change. I want to know what the discussion of the importance of the May 30 ice level ran to. Who thought it indicated an all-time low and why? Who disagreed, and why? Getting awfully curious as we head north. Oil Freezing. 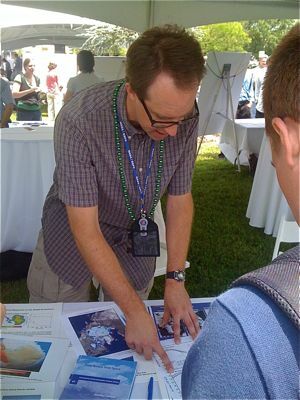 Oil and liquid nitrogen for example. What is the matter? Where is NASA?